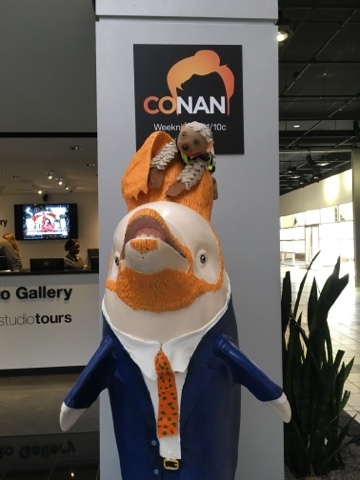 #Safety2016 officially starts tomorrow, June 26, 2016, but we have been busy scoping out the Georgia World Congress Center, CNN Center, and the Omni Hotel here in Atlanta, GA.
Piper Pangolin had a photo op with the "Conanolphin" or "Conanopoise." 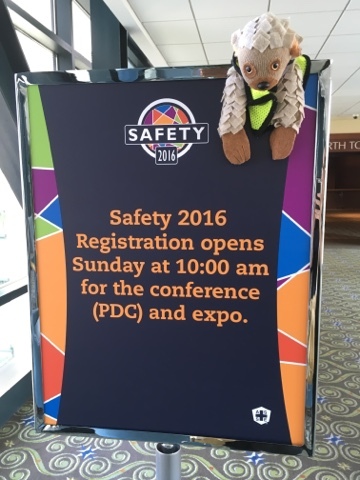 We are working on a "trailer" video for the Safety 2017 conference and a recap video of our experiences at #Safety2017 that we will post on YouTube. We've also done a pre-conference activities video that we'll be posting shortly. We are excited to attend the House of Delegates tomorrow. We will probably attend the WISE networking event on Sunday and the Combined Practice Specialties meeting on Monday, representing the Industrial Hygiene Practice Specialty.